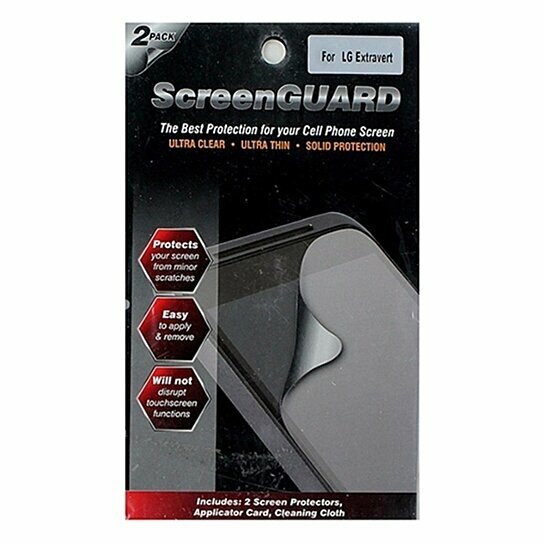 ScreenGuard Screen Protector 2 Pack for LG Extravert. Clear finish. Protect your screen from minor scratches.